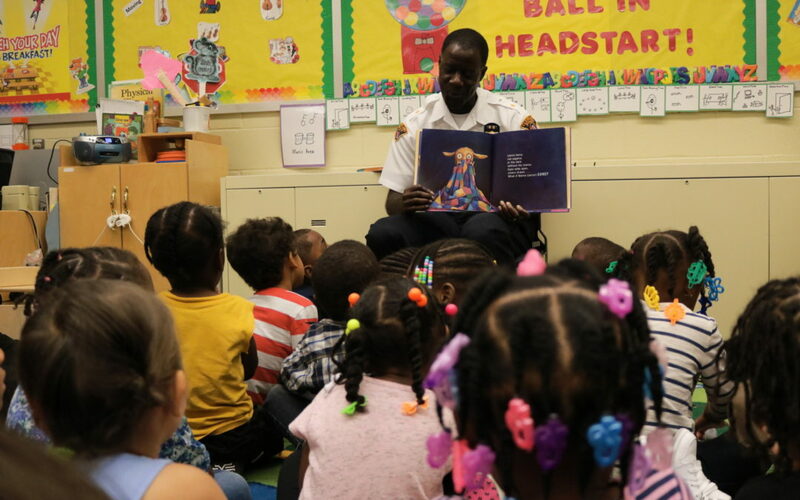 Cleveland Police Chief Calvin Williams visited students at William Patrick Day Head Start Center for the first day of school. He read two books: “If You Take a Mouse to School” and his personal pick “Llama Llama Red Pajama”. The students were captivated by his reading, and asked him questions about being a police officer. It was a great start to what is sure to be a great school year!